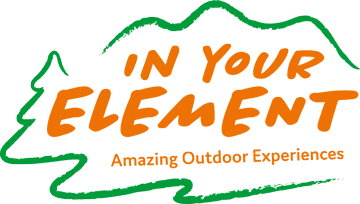 If you haven’t canoed before don’t worry, our friendly experienced staff will show you how to handle your canoe, giving you the confidence to enjoy this exciting sport. 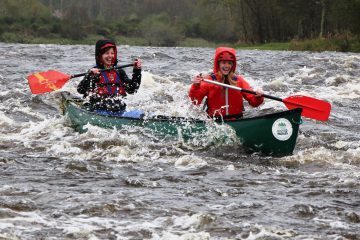 The open canoes we use are very stable and carry two adults, or two adults plus one or two small children. 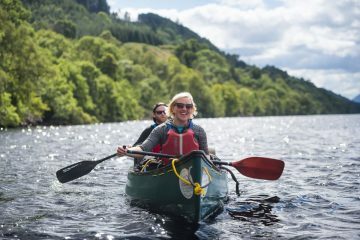 Our flat water canoeing takes place on picturesque Loch Lubnaig, a magical place right at the heart of the Trossachs. 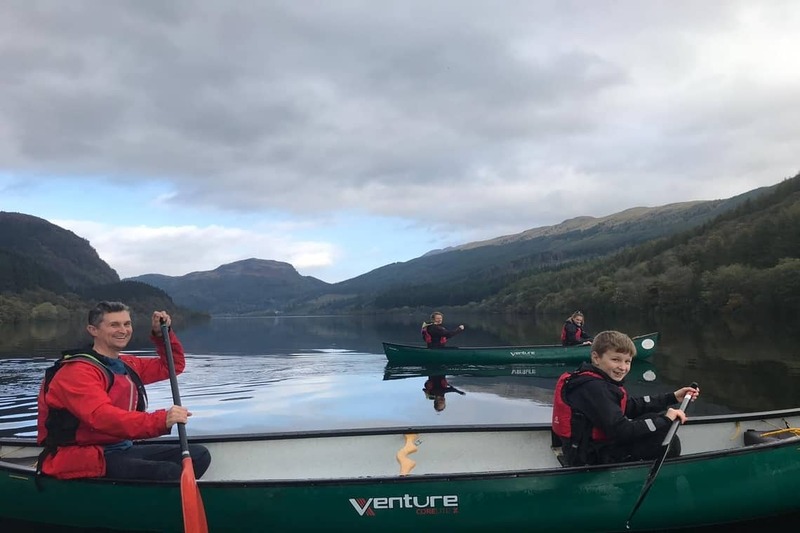 Departing from Forest Holidays retreat in Strathyre, the canoe sessions will consist of a safety brief, teaching of some basic paddling skills, a couple of fun games for all ages and then a gentle explore around the loch. This really is a wonderful place to go paddling. Please note, there is no need for you to be staying at Forest Holidays to take part, non residents more than welcome. Suitability Minimum age: 5 yo. (under 12’s must be accompanied by a participating adult). 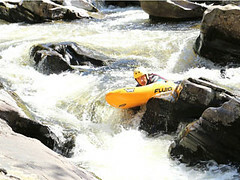 No previous canoe experience required. Wear Comfortable athletic clothing, outdoor shoes, hat, waterproof jacket and sunscreen. The Cairngorms National Park has it all.